Although we are deep into the middle of winter, rugby season is still ‘top of the mind’ for many members of our School community. 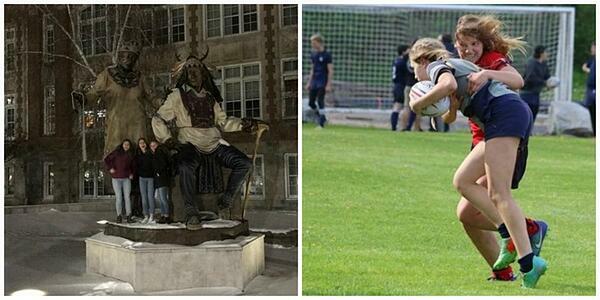 A number of our Girls’ Rugby players have been busy these last couple of weeks. 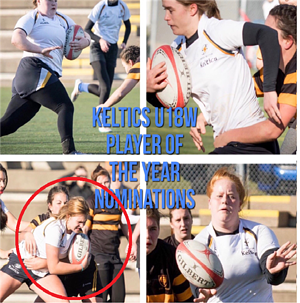 At the recent Rugby Nova Scotia Awards Banquet, two of our KES athletes were nominated for Provincial Player of the Year for their respective age-grades. For the Under 16 team, Grade 11 student and School Steward, Camryn Kleynhans, was one of four finalists for the award. For the Under 18 team, first-year KES student-athlete, Courtney Ells, was also a finalist for the award. To be named one of the top four players for their respective ages in the province is no small feat! Congratulations! Earlier this month, Camryn and Courtney joined Grade 12 co-captain, Téa Racozzi on a trip to Montreal to tour the academic and athletic facilities at Concordia University as part of the Stingers Rugby Team’s recruiting weekend. 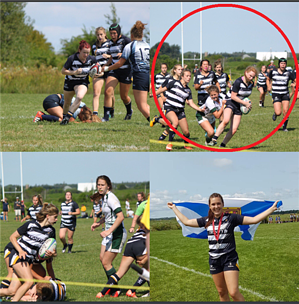 Concordia’s head rugby coach commented on how impressed she was by the conduct and maturity shown by all three of our student-athletes. Not to be outdone by their players, Coaches Campbell and Foley have also been busy as of late. We were both part of a group of 12 rugby coaches from across the province who attended the two-day, 16-hour World Rugby Level 2 Coaching Course. While all of our student-athletes are busy completing their winter sport commitments, rugby season is just around the corner. Beginning February 1st, our Girls’ Rugby team will host ‘non-contact intro to rugby’ sessions for new players so they can get a taste for the game before deciding on their Spring sport later in the term. Achievements like this make parents so proud! 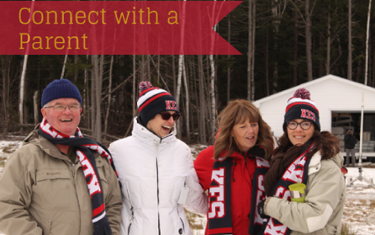 We find that most King's-Edgehill parents are happy to help out whenever they can and are eager to answer any questions prospective parents might have. Connect here.